SAN FRANCISCO (CN) – The Ninth Circuit signaled Friday it will lift a nationwide preliminary injunction of federal rules to expand employer exemptions for contraception coverage on religious and moral grounds. Senior U.S. Circuit Judge J. Clifford Wallace, a Richard Nixon appointee, said during Thursday’s hearing he initially supported blocking two rules issued by the Trump administration in October 2017 while five state attorneys general lead by California Attorney General Xavier Becerra challenge them in Oakland federal court. “The basic premise of standing here is if the feds don’t make the insurance companies pay, ‘we [the states] will have to pay, and it will cost us money,'” Kleinfeld said. 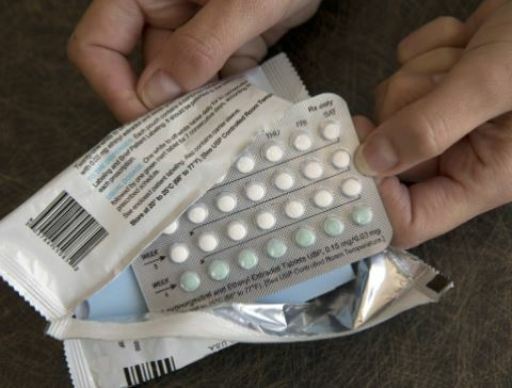 California Justice Department attorney Karli Eisenberg explained state programs providing contraception coverage for those who don’t otherwise have access to it had been in place “long before” the Trump administration’s new rules. But the administration issued new rules in October 2017 letting any employer or health insurer with religious or moral objections to providing birth control opt out of the contraceptive-coverage requirement. Under the new rules, exempted entities no longer need to certify their objection or otherwise notify the federal government of their decision to stop providing coverage. In granting a nationwide preliminary injunction last December, U.S. District Judge Haywood Gilliam Jr. found the states would likely prove the administration violated the Administrative Procedure Act by issuing the rules without advance notice and comment, and that the violation would cause the states imminent fiscal harm because they would have to pay for contraception and unplanned pregnancies under the rules. On Friday, U.S. Circuit Judge Susan Graber focused most of her questions on fiscal impacts, indicating she was leaning toward upholding the states’ injunction. The Clinton appointee suggested the states had satisfied standing requirements because four out of five mandate contraception coverage and will have to cover more women if the injunction is lifted. Graber also questioned the Trump administration’s contention it had “good cause” to quickly push through the rules without notice and comment “to alleviate the burden imposed by the contraceptive-coverage mandate on those with sincerely held religious beliefs and moral convictions and to clear up uncertainty caused by lengthy and unresolved litigation,” according to the administration’s appeals brief. Defendant-intervenors The Little Sisters of the Poor, a religious nonprofit operated by an order of Catholic nuns, previously won an injunction at the U.S. Supreme Court in Zubik v. Burwell, which they say is threatened by the states’ lawsuit. The Zubik injunction bars the federal government from imposing fines on religious nonprofits that don’t comply with the contraception mandate. Zubik was one of eight cases the Supreme Court took up from four circuit courts, all of which found the Affordable Care Act’s contraception mandate serves a compelling government interest while giving religious groups an acceptable way out. Both Graber and Wallace indicated the court could instead defer ruling while the federal Office of Management and Budget reviews the rules, which began again last week. But Wallace emphasized his desire to move quickly by lifting the injunction. “Justice delayed is justice denied,” he said. Justice Department attorney Lowell Sturgill Jr. argued for the administration.